A list of proposals has been drawn up to enhance the long-term future of the Borders Railway - including extending the line to Carlisle. 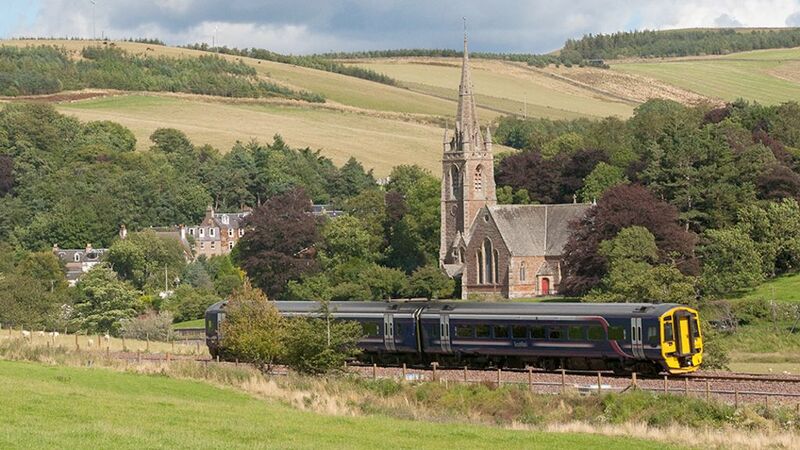 Scottish Borders Council is being asked to endorse the response to a consultation by Network Rail. The Scotland Route Study will inform future infrastructure provision around the country between 2019 and 2029. The council has drawn up a string of suggestions on how rail routes in the region could be improved. They fall into a number of 'key elements'. A list of proposals is drawn up to enhance the long-term future of the Borders Railway - including extending the line to Carlisle. The freight from Kelso held at Kelso Junction in March 1968 while a northbound train passes on the Waverley route. Locomotive D3891 is carrying the unofficial Kelso Lad headboard made by Ian Fergusson [see image 22937]. Integrated rail transport, but not for much longer. Steam meets diesel at St Boswells on the station's last day as a passenger junction, 13th June 1964. The footplate crew of the Standard Class 2 2-6-0 heading the 4.2 pm branch train to Kelso and Berwick (the last ever eastbound service) chat to the driver of the English Electric Type 4 hauling the 2.43 pm Edinburgh to Carlisle service.